Eggs have always been considered as healthy foods. Looks like you may have more reasons to add these delights in your daily diet, especially in your kid's diet. Eggs have always been considered as healthy foods. Looks like you may have more reasons to add these delights in your daily diet, especially in your kid's diet. According to a study published in the American Journal of Clinical Nutrition, feeding eggs to infants could provide them with key nutrients for better brains. The research found that infants who were introduced to eggs beginning at six months showed significantly high blood concentrations of choline, other biomarkers in choline pathways and docosahexanoic acid (DHA). 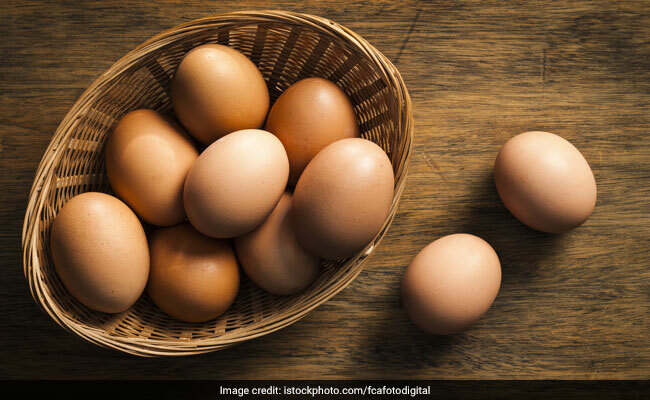 According to the researchers, eggs have been consumed throughout human history, but the full potential of this nutritionally complete food has yet to be recognised in many resources -poor settings around the world. Choline, which is a nutrient that acts like vitamin B and DHA, which is an omega-3 fatty acid that serves as a structural component of the brain, play vital roles in infant brain development and function. As per the researchers, like milk or seeds, eggs are designed to support the early growth and development of an organism and are, dense in nutrient content. Eggs generally provide essential fatty acids, proteins, choline, vitamins A and B12, selenium and other critical components and nutrients comparable to other animal food products. Eggs deliver their nutrients in holistic package or food matrix that improves absorption and metabolism. For the study, children aged 6-9 months were randomly assigned to be given in one egg per day for six months, versus a control group, which did not receive eggs. The results revealed that early introduction of eggs significantly improved linear growth and reduced stunting among infants who were introduced to eggs beginning at six months.